You got the acceptance letter, now get all the dorm gear you require to make your first year a success! Here you'll find a curated list of college-ready items to pack for campus moving day based on your college's official recommendations. We've also included items from other schools' suggestions and expert advice we've compiled from around the web. All of our recommendations are based on a balance between quality and value. 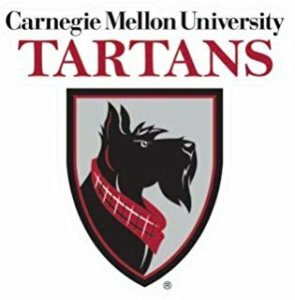 The checkmark next to an item indicates that it is included as an official recommendation from your school. Powerful laptops aren't just for gaming. If you're a computer science, engineering, or math major, then you'll need the extra power these machine provides. 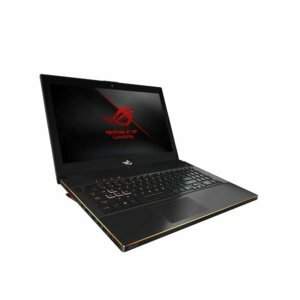 This ASUS laptop packs ridiculous power into a thin frame. Six-cores and 8GB of dedicated graphics card memory will have your simulations, CAD, and machine learning algorithms humming along. There are a few different buying options, so here's a link to the series. 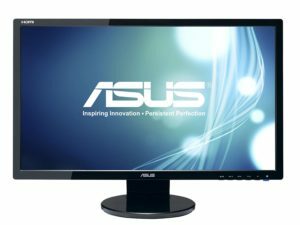 Meets specs for Computer Science. Meets Recommended specs for Heinz College. No other majors or programs provided, contact your department directly. 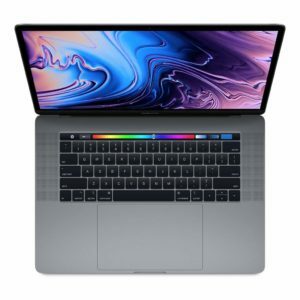 Macs are known for their performance when working with graphics and video. 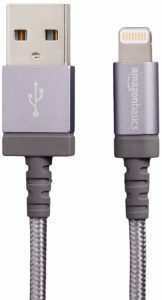 If you're an art, visual graphics, or design student, you're likely going to need the extra power that the MacBook Pro provides. 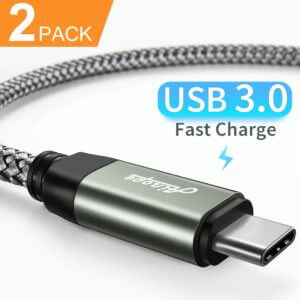 These are great for keeping you connected to all your Apple devices and won't leave you short when it comes to working with the large photo and video files. 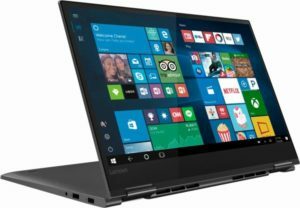 If you're like most students, you need a computer that lets you write papers, submit assignments, browse, stream and work on group projects. If that sounds like you, then a Lenova Yoga series laptop is probably what you're looking for. These consistently get high ratings for college students. The touch-screen is nice for group projects when people are reaching over your shoulder to show you something. Make sure you keep the weight down because you'll be taking it everywhere. Probably the most important thing that many people forget is the importance of a Solid State Drive (SSD) - this is what lets your computer boot up so fast. This series will fit your basic laptop needs. There are some different buying options, so here's a list to a few solutions. Meets Minimum specs for Heinz College. 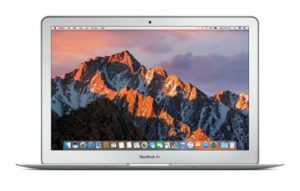 If you have an iPhone, an Apple Watch, and you love all things Apple but only need a laptop for basic browsing, submitting assignments, email, and watching videos, then a MacBook Air is probably what you're looking for. Keep in mind that universities sometimes require software that may not be compatible with Macs. Most of the time, they'll have work-arounds but it's best to check with the school if you're thinking about an Apple. 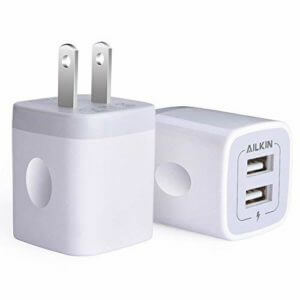 This Electronics Connections Starter Pack gets all your devices connected. WiFi is great, but during midterms and finals everyone on campus is using the same WiFi making it slow to a crawl. 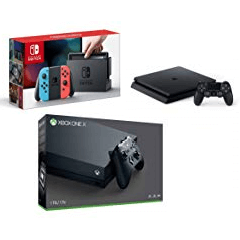 Having ethernet connections makes sure you can get your work done - make sure to buy an ethernet cable for each item you need (laptop, gaming system, smart TV). With limited space in a dorm, you need a printer with a small foot print. There are smaller printers than this one, but this also has the ability to scan and copy. Having a scanner can be a life saver when your parents ask you to sign some paperwork and send it back to them. 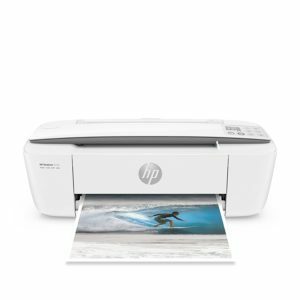 This printer is both wireless and includes a USB cable if your dorm doesn't allow wireless printing. You'll want a laptop so you can carry your machine with you to class, labs, the library or study groups. So you may not need a monitor, but extending your laptop display to a second monitor is nice when working between multiple programs. College is a noisy place! There's no way around that - people screaming through the halls, shouting outside your window, there's always something loud going on. Noise canceling can help you keep the craziness out while you go to your quiet place. Noise canceling headphone reviews can be contentious... people are really passionate about these things. There are very expensive brands, and if you can afford $350-$400 for headphones, then check those brands. 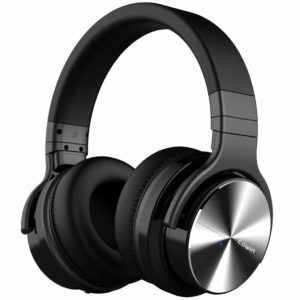 But the Cowin E7 and E7 Pro have over 10,000 reviews on Amazon with a score over 4 stars. That's really good! 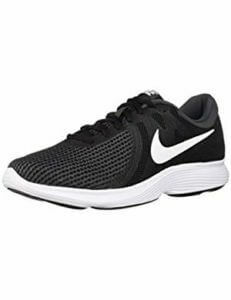 They won't be perfect, but at one-quarter the cost of the designer brands, these are a great option for a college student. There are lots of options for storing files on the cloud - your school might even have dedicated storage. But there is something to be said for having your files physically in your hand. Professors don't like to hear that you didn't finish your paper because the WiFi was down. 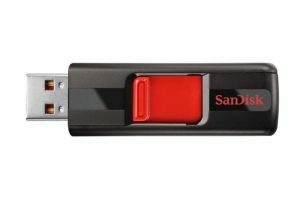 This 128 GB drive should be adequate for most students' needs but if you're a graphic / image / video major, you may want to consider upgrading to more memory or even consider an external hard drive. 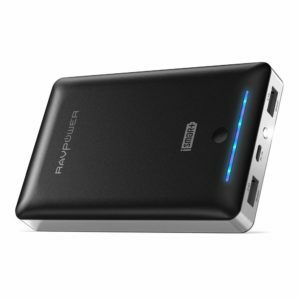 Portable chargers are one of those things that you don't think about until you need one. 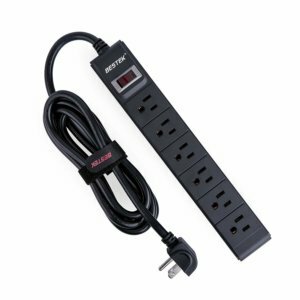 This one has enough juice to power multiple times and has lots of excellent reviews. 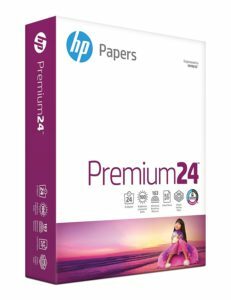 You're printer won't do any good without some printer paper - and this is a lot cheaper than printing in the media center. A laptop mouse gives you more control over your interface with your laptop. 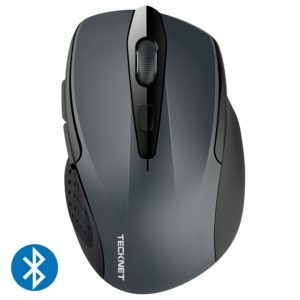 This mouse works with Mac and Windows through Bluetooth and the battery lasts 24 months - you'll be half-way through college by the time you need a new battery! Your room might only have one or two ethernet connections. 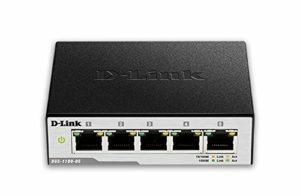 If you want to connect your laptop, your gaming system and your smart TV, then you'll need a network switch. This switch allows you to connect four devices to the hardline network. Most campuses don't allow Wireless routers so this might be your only option for sharing network. 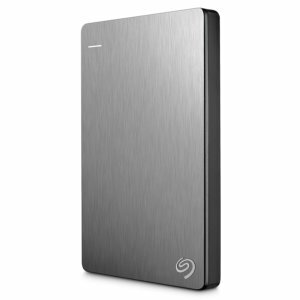 An external hard drive isn't for everyone, but if you plan on taking a lot of programming, graphic design, video editing, or computer aided design(CAD) courses, then you might want to think about getting one. It's easier to have an external hard drive and smaller laptop. If you try to get a huge drive on your laptop, it'll end up being really heavy. Video games are a fun way to spend some down time. But Time Management is the most important skill you need at college - so don't get sucked into playing too much. This Classroom Starter Pack has everything you need to succeed in the classroom - well... you'll still need to show up, pay attention, work hard and all that... but these essentials will help you on the way. Backpacks are essential. There are a lot of styles and purposes out there. Make sure you select on that is water proof - you'll find yourself on the way to class when the skies open up. Also, you'll be carrying your laptop most places you go, so make sure the backpack is designed for your size laptop. Here is one with over 5,000 reviews and a score over 4 stars. 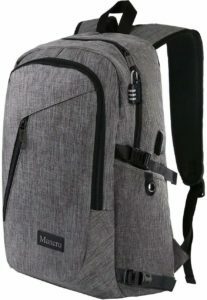 It's a good option - waterproof, has a lock and fits a laptop under 17" - but your backpack will be with your wherever you go so spend some time thinking about what you want! Yeah we know you're there to get an education... but it's important to kick-back and laugh in between study sessions. 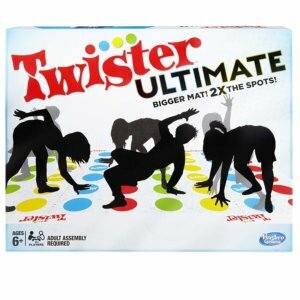 This Game Night Starter Pack has some ideas for ways to bond over pizza and soda (pop). Dorm floors can get cold! An area rug will help keep your feet warm. They also prevent that echo sound in an empty room. 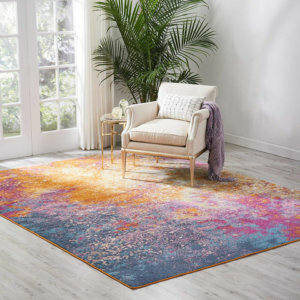 Find a rug that reflects your style! Check your particular room for the size that fits - it will most likely be 6x9 or 8x10. Campuses can be very bright at night and you'll need a dark room to get some rest for that early exam. These curtains black-out the light and give you the darkness you need to get your beauty rest! 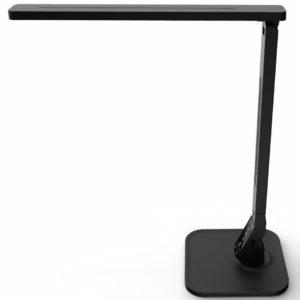 With limited desk space, your lamp needs to take as little space as possible. It's also important to have a dimmable light so your late night study sessions don't keep up your roommate. It's going to get hot in your dorm. This will keep things cool. If you don't have air conditioning, a window fan is a must. 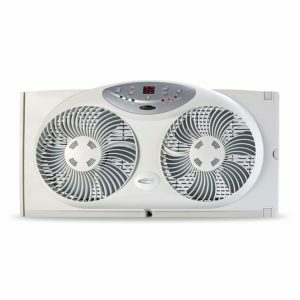 Even if you do have AC, you may want to let the springtime air into your stale dorm room. 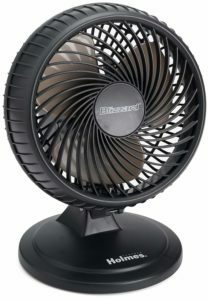 This fan can exhaust and intake, making it perfect for cooling or just circulating air. You can't fit a big screen into that tiny dorm room. 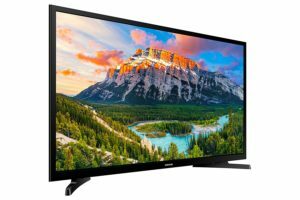 A 32" will be good enough for all your friends to binge watch your favorite series or lay waste to them during a weekend long video game saga. The thing to look for with TVs is that it's a 'Smart' because you want to have access to your TV apps directly - you don't want to occupy your laptop with casting. There's nothing wrong with watching GoT while writing that term paper - we won't judge! 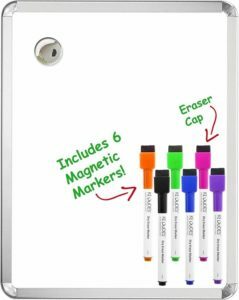 This dry erase board is great for keeping track of long term assignments, grocery lists, notes for your roommate or reminding yourself to call your parents. 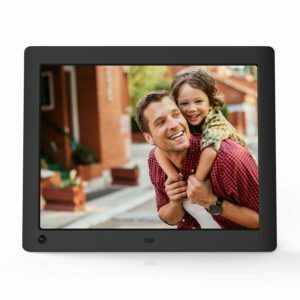 Bring your family and friends to college with you - at least their photos and videos. This album plays both video and photo and can use a USB or memory card. Gift cards are a great option for college students. When you get cash, it just seems to disappear without even realizing what you spend it on. Having gift cards will make sure you spend that money on what you really want! 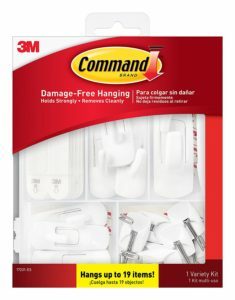 If you want to hang anything on your walls, you'll need these. This variety pack will get anything you have up onto your wall. Cover it from top to bottom! This alarm clock is perfect for getting you out of bed for your 8 o'clock. It has FM radio so you can listen to the campus station and Bluetooth for streaming from your phone. 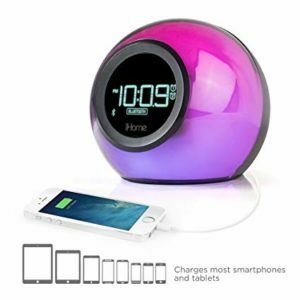 Add a charging port for your phone and this little guy has everything you need, plus you can customize the color to match your room décor. You're going to need to read in bed... it's going to happen. When it does, you'll want to make sure you have a dimmable light so that you don't keep everyone awake. 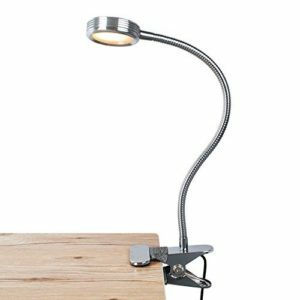 This one has two light settings and two dimming settings and is flexible enough to reach around your pillow! You're going to spend a lot of time in your bed - studying, reading, sleeping, playing on your phone. So make sure you get a comfortable bed set. Your bedding is the first thing people will notice when they walk in your room so let your personality shine here! 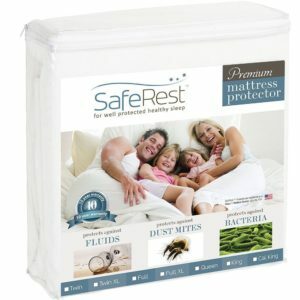 Here's a link to a search that gives lots of ideas for bedding sets. The set you select should have everything you need (fitted sheet, flat sheet, quilt or duvet cover, pillow covers, etc.). 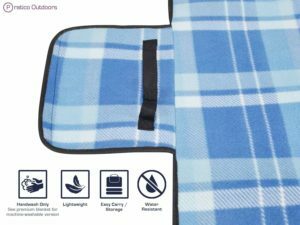 An extra blanket can keep you warm during all night winter study sessions. 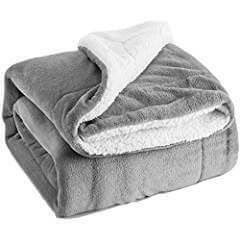 Everyone's style is different but here's a link to a variety of blankets and throws. Don't think of a mattress pad as saving the mattress from you, think of it as saving you from everyone who came before you! This will let you fall asleep without worrying about what you're laying on. 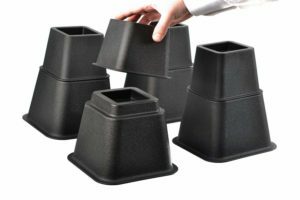 Bed risers can help you get more storage under your bed (check out our Campus Arrival Storage Essentials for some under-bed storage solutions). These are basic but get the job done. You're going to spend a lot of time in your bed - reading, doing homework, playing on your phone. This little table attaches to your bedside giving you a place to put things so they don't get lost in your covers and then flung across the room when you throw the covers up trying to find them. You probably won't get lucky enough to find yourself in a college apartment, so you'll only need the very basics for heating / re-heating small meals. This Dorm Kitchen Starter Pack has you covered. 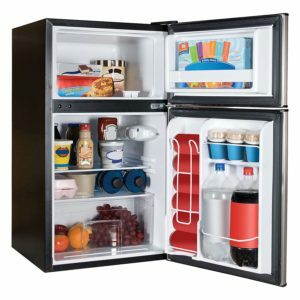 This Apartment Kitchen Starter Pack has everything you need if you're lucky enough to have a kitchen in your college apartment. You may want to consider a meal delivery service - they're reasonably priced and take the hassle out of figuring out dinner. You'll need some tasty distractions to keep you going. Here are some ideas for you to keep your energy up while reading through your notes late at night. 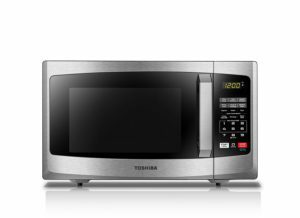 This microwave is small enough to fit comfortably in your dorm room. The most important thing about this microwave - you can turn the beeping sounds off. Which doesn't sound like a big deal until you're trying to make midnight popcorn while your roommate is sleeping with a midterm the next day! It's the little things. This fridge has lots of space for it's little size. The thing to look for with dorm refrigerators is the separate door for frozen items. The single door models won't keep your frozen dinners cold. And most important... you can fit a 12" pizza box in there! The dining hall has coffee, but it's all the way across campus... you need coffee now! Most schools allow Keurig machines in residence halls because they don't have an exposed heating element. But even if a Keurig is not explicitly prohibited, it's a good idea to ask a residence expert if you are allowed to bring them. 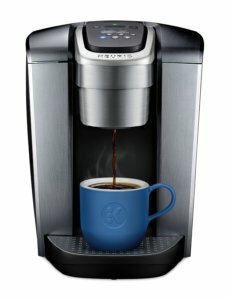 And once you get the go-ahead, don't forget to load up on K-Cups. Your school should definitely have a water refilling station near your room. If not, ask why they don't! You can get anything from economy Nalgene bottles to designer vacuum sealed. 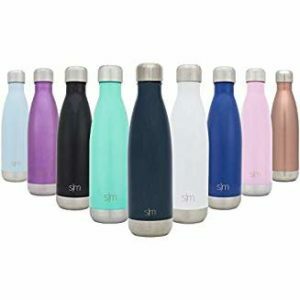 Here's a list of some well reviewed reusable water bottles. Helpful hint - customize your water bottle by adding stickers! You're gonna wake up some days not feeling 100%. On those days, it's good to have some supplies to get you back on your feet so you don't miss too many lectures and assignments. Don't forget your toiletries. Everyone likes different smells and flavors so we don't have any product recommendations. 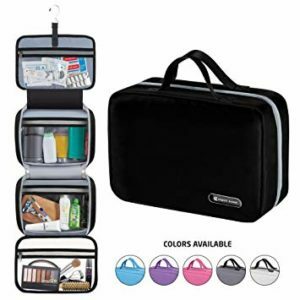 But here's a list of toiletry kits that will give you an idea of the kinds of things you need to remember along with some other bathroom essentials. soap, shampoo, toothpaste, toothbrush, deodorant, etc. 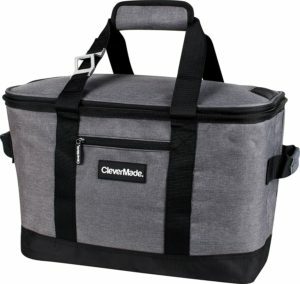 This bag will let you bring toiletries form home and keep them organized hanging in your closet. 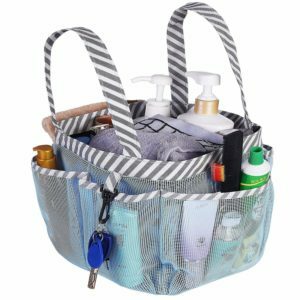 You definitely want a mesh shower caddy - don't even bother with the hard ones! This will dry quick. This is also big enough to fit everything you need (including a towel). It comes in Pink, White, Blue, Light Blue and Black. 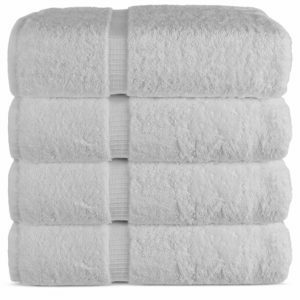 It can be cold in the winter walking from the bathroom back to your room, so why not splurge a little and get these extra soft and warm towels. They come in a variety of colors, but one thing to remember is that if you want to use bleach to get your towels extra clean then you may want to consider white. It's going to be cold walking back from the showers to your dorm room. 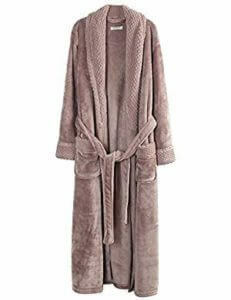 A robe will help keep you warm. Plus... there's something just plain cool about robes. Dorm showers are nasty! 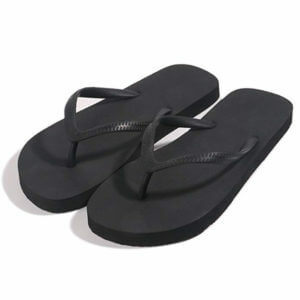 You need flip flops to keep the funk off your soles. This Laundry Starter Pack has everything you need to keep your roommate from using nose plugs whenever you walk in. Don't forget the drying rack for hanging things that don't get quite dry and you don't want to fork over another dollar. Also, you're probably going to need a sewing kit at some point - pick it up now to avoid being in a tight spot when your button falls. Living in a dorm means that you have limited space. Staying organized is a must! 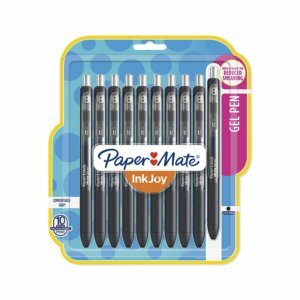 This Storage Starter Pack has everything you need to stay organized and keep sanity in your dorm room. This Cleaning Supplies Starter Pack has items that college students need to keep their dorm clean... at least functionally clean. You will make a mess - there's no way around that. But with this little vacuum you can get back to that term paper quickly. 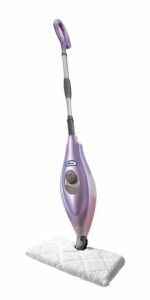 Cordless (wall hanging) vacuums are too expensive for what the average student needs. This is a perfect compromise on size, versatility and price. Plus, it has a spinning brush to get the nasty crumbs out of your rug! Don't leave your room unlocked! But if you want some extra security, a small safe is a good place to store all your important docs and cash. 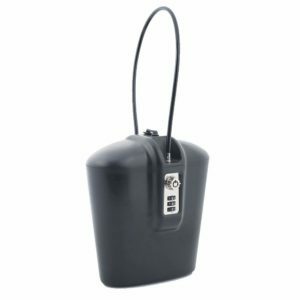 Plus if you go to the quad, gym or volleyball court, you can take this small safe along to keep your phone and wallet safe. 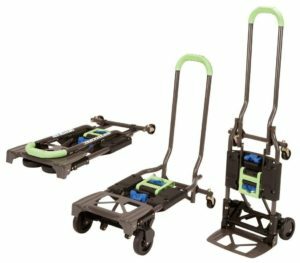 If you already have a hand truck, you can skip this item - just remember to pack it. If you don't have one, these are very handy when moving all your gear from the parking lot to your room, and don't rely on the college provided bins... those get gobbled up like candy! What's that large, bright object in the sky? You really need to get out of the library / dorm / lab and get some Vitamin D. This Outdoor Starter Pack has some great ideas for outdoor games and other essentials (like sunscreen). Having a bike can be nice for trekking across campus. When you're late for class and need to get there quick - it can be a life-saver. 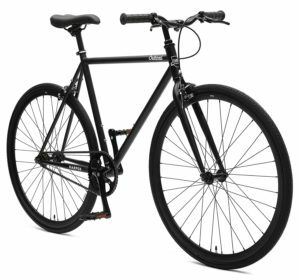 Bikes come in a variety of styles and qualities - here's a link that will help you start your search. One thing to keep in mind... while they look a little peculiar, you can carry a 'folding' bike and take it up to your dorm room with you. It might make you sleep better at night knowing your ride is safe under your bed. If you're taking a bike to college, you need to have a bike lock. 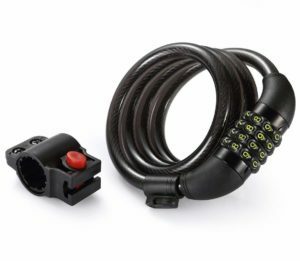 Bike locks are dependent on your bike size and style. Most blogs recommend a D Lock, so keep that in mind. Also, many companies offer a warranty on your bike if it gets stolen, so look for that too but be sure to read the fine print on any warranties. 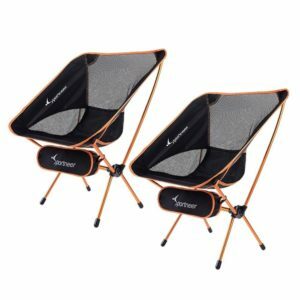 Great for hanging out on the quad or having a weekend picnic at a local park. A soft cooler is great for taking snacks to the quad for some chill time. Also great for planning that tailgating party. Take your seat with you! Perfect for hanging outside or taking to a tailgate. 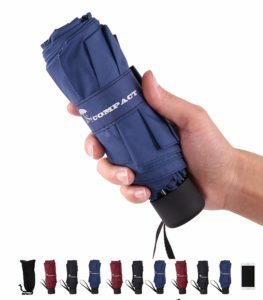 The things to look for in umbrellas are the closed size (so it fits in your backpack), the number of ribs (so it holds up to the windy days), and the open size (so it covers your backpack too). This umbrella has extra ribs which provide extra support while also giving more coverage. It comes in a variety of colors too. 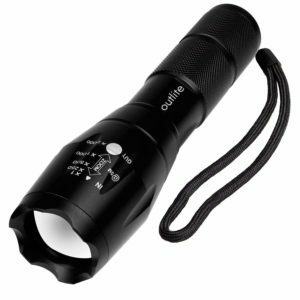 You're phone has a flashlight - but is it really bright enough to walk you home along the dark sidewalks and trails around campus? Plus, save your battery for texting and social media. Beach towels are good for going to the pool and laying out on the grass. 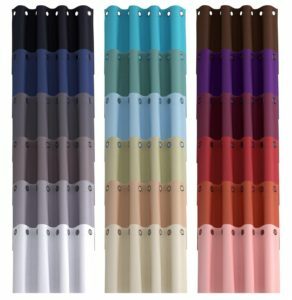 Everyone likes different styles of beach towels but here's a link to a variety that is pretty standard. 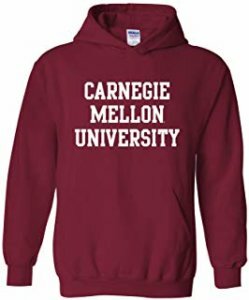 You got into Carnegie Mellon, now it's time to show your pride. 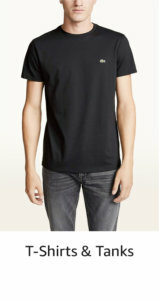 Here's a collection of T-shirts, hoodies, hats... even socks. Show your family and friends where you're heading. Start tagging everything you own with your school logo - maybe even some things you don't own. Watch out Mom's SUV! You can also pick-up mugs, blankets, cups, lanyards... however you want to show your pride. You're gonna lose your charging block. These can be used for any phone, so it's a good idea to have a couple extras lying around. 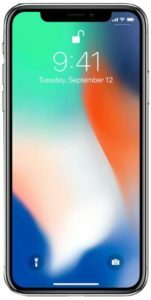 Maybe it's time to upgrade your iPhone. You're going to be using it a lot while you're at college. "Where's my charging cable?!?!" - Yeah, you need a back-up... or two. Even if it's not time to re-up your cell plan, it might be a good time to upgrade your phone. You'll be using it a lot. Don't forget a jacket. If it gets cold, bring a heavy winter jacket. 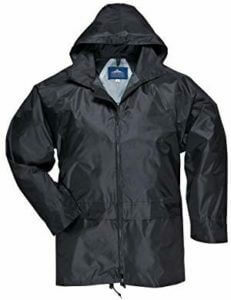 Here's a link to some rain jackets because you'll be walking around campus a lot and you don't want to get soaked. You'll being wearing a lot of jeans - you might want to get a couple extra pairs. Even if you aren't planning on playing any sports or going to the gym, you're going to be walking a lot. You'll need a new pair of comfortable shoes. Also, depending on how much rain your campus gets, you may want to invest in a pair of rain boots. Your nasty socks and underwear look like swiss cheese and are barely holding together. Get some new stuff - who knows who'll see you while in your underwear. 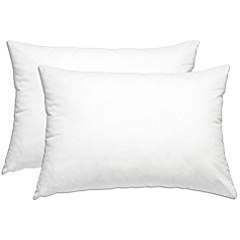 Your current pillows have drool stains and are completely flat. Get some fresh one. Don't forget to pack clothes. You don't need to bring everything you own, but you should bring enough to last between laundry loads (probably about ten outfits or so). Make sure you pack climate appropriate clothes. Most schools recommend that you pack for Autumn and then swap out your wardrobe to sinter clothes after you go home for Thanksgiving. Some things to remember are: Casual Clothes (This is what you'll wear most days); Athletic Wear (Even if you're not going to the gym, you might want to play Ultimate Frisbee on the quad); Forma Outfit (you might want to bring one or two formal outfits because you might start applying for internships sooner than you'd think); Swimsuit (for doing laps in the pool, or maybe water-balloon fights). remember, it gets cold in Pittsburgh! The following items are generally prohibited on college campuses. Confirm with your school the status of these and any other items. Last updated on February 10, 2019. Recommendations are made based on official university guidelines and expert advice but may become outdated. Please consult university website for the most up-to-date guidelines before making a purchase. 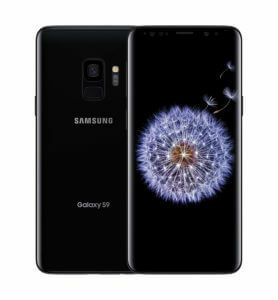 Report a mistake or suggest a new item.